Wondering what to bring traveling? You are not alone! 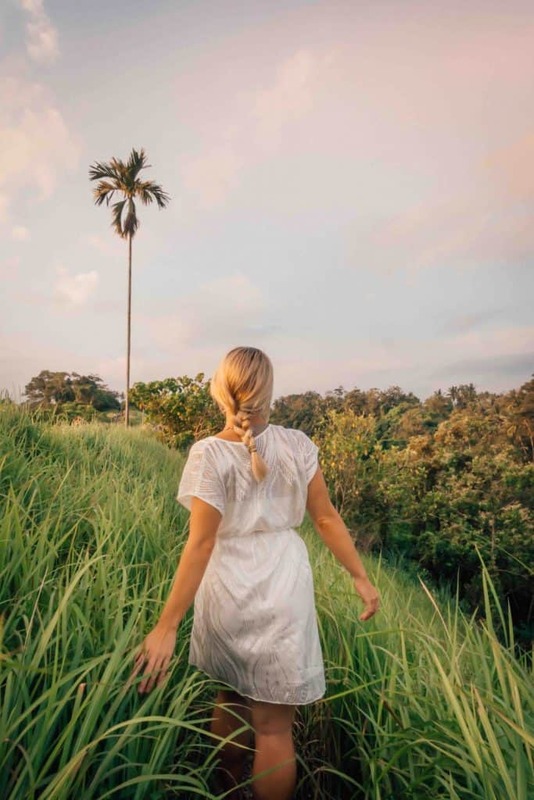 We’ve been traveling around the world for over five years and now have a huge list of travel essentials that make our lives better when we are away from home. 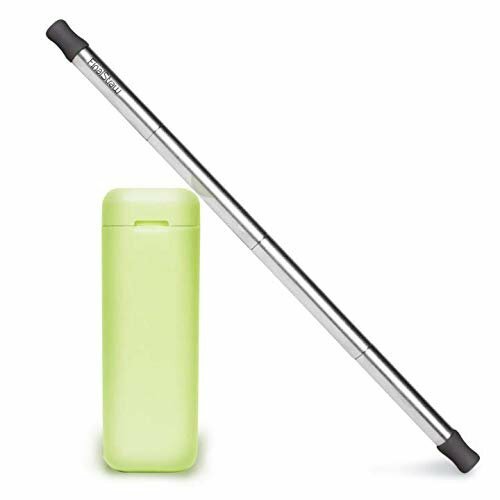 We recommend thousands of travel must-haves on this site, but I wanted to narrow that list down to the ultimate 50 essential travel accessories. All of these products we have personally tried out and own. Let’s dig in! 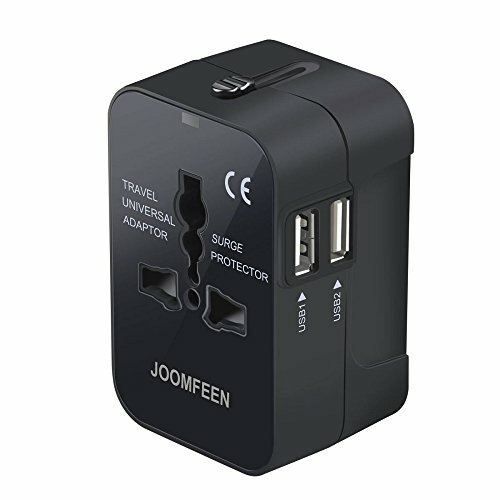 One of the first things you need to get for any travel is a universal adaptor it’s a travel necessity for Europe and beyond! I would recommend getting a good one on Amazon before arriving at your destination. I typically find it hard to find a decent one that isn’t overpriced in the destinations I arrive in as stores know they are mainly for tourists. Also, I never want to be searching for an adaptor when I have just come off a long travel day and need to plug in my computer. I want to have it with me and ready to go at all times. The further north you go the more you will see the British “type G” plugs, which we also have on stock. 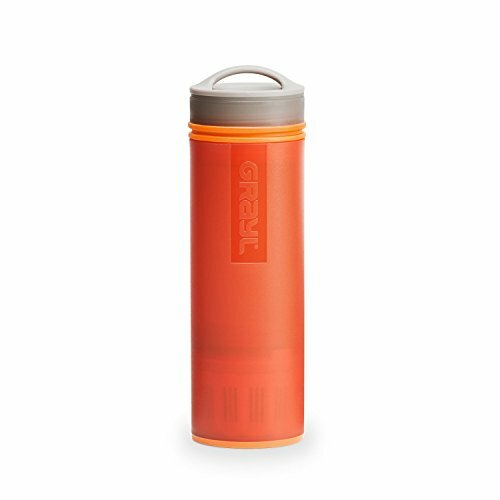 I never ever travel without a water bottle and this Grayl is my favorite. A water bottle is a travel must have to save money and cut down on plastic. Like my other favorite, the Lifestraw Go this bottle also features a filter. However, the filter design is entirely different than the Lifestraw. Most important is that this water bottle system purifies water vs. filters which removes viruses and virtually removes all threat of waterborne illnesses. The design is sleek and innovative. The futuristic bottle filters water similar to a french press. It’s a genius bottle. It allows for sediment to sit at the bottom and filters the water in one go. The result is a water bottle that has a wide mouth top and can filter our bacteria and heavy metals. It beats the Lifestraw Go in every category for us, but it is higher in price. Take note, this is an expensive water bottle and it may make consumers think twice about purchasing. However, as avid travelers who’ve spent more than our fair share of time in developing nations the Grayl Filtration Cup is a travel essential item for us every time. We always recommend bringing a travel towel when you’re on the road. It’s one of those international travel must haves for everyone. They pack up small, are antimicrobial, and are lightweight so they will save you from always needing a new towel or from constantly washing yours. 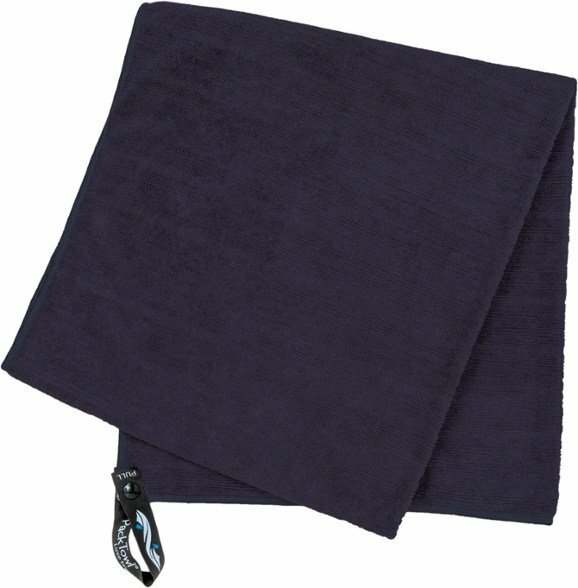 The biggest complaint about travel towels is that they often feel nothing like the plush cotton towels we are accustomed to at home and in hotels. However, with thePackTowl you can forget about all of that because they set out to create a towel that mimics its cotton counterparts with the technical features of a travel towel. These GoToobs are my carry on packing essential. Don’t lug around a full sized body wash container, put liquids in little travel bottles instead! 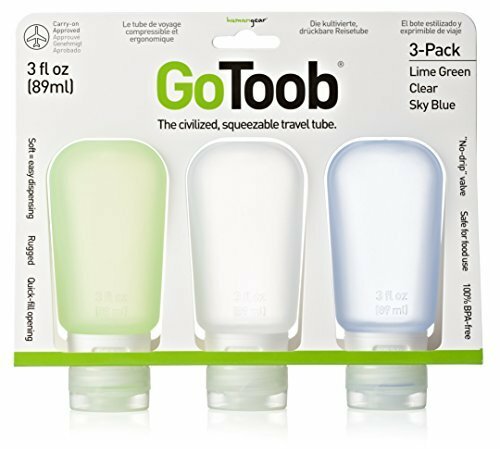 GoToob bottles are made with durable silicon that are food safe and airplane carry-on approved. 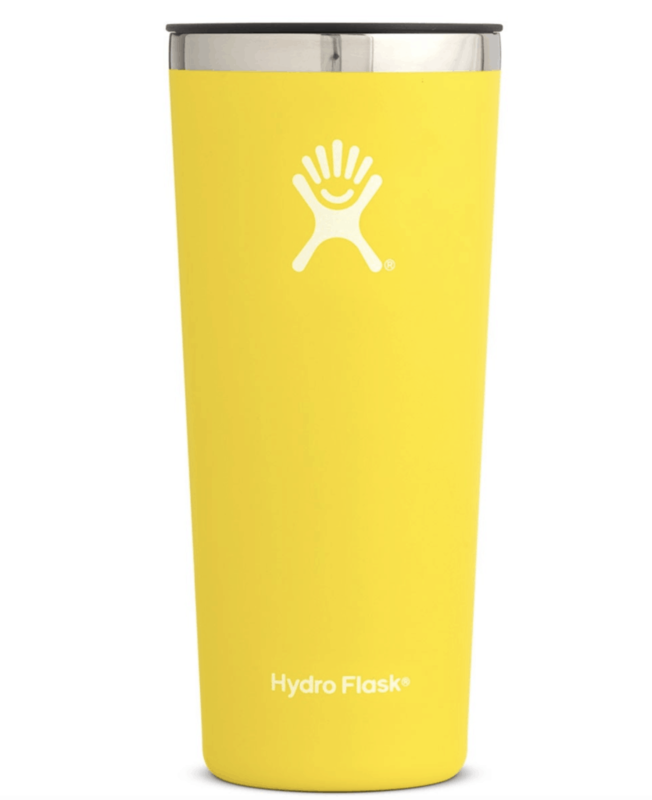 Of course, they are 100% BPA free and also a great eco friendly gift idea. 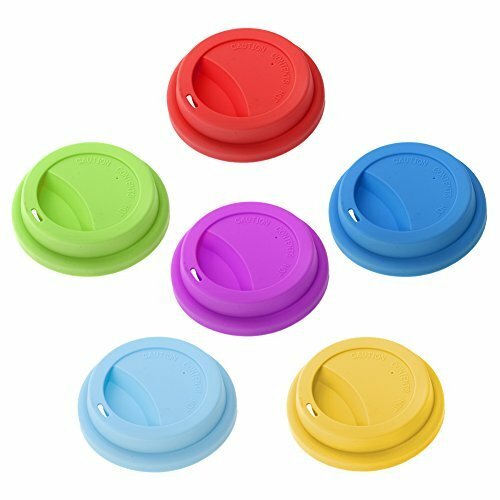 The GoToob is made by HumanGear who make a wide range of reusable products. We love their eco-friendly product line for things like their FlexiBowl, GoBites, and GoTubbs. It’s all gear made to be reusable thus eliminating single-use plastic products. It’s simple switches like this that can make a big impact on your environmental footprint. I love having the GoCup when I travel. It’s so tiny and saves so.much.plastic. I never ever pick up a plastic cup again with the GoCup. 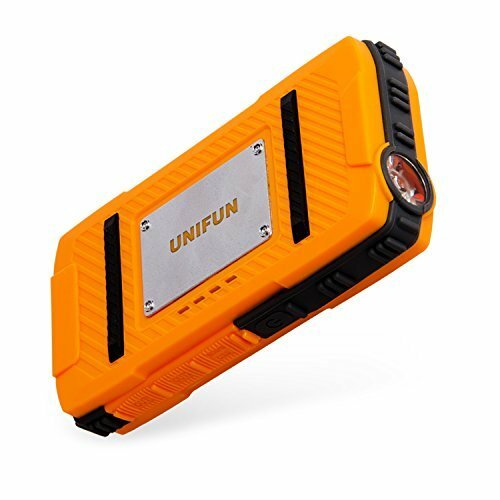 This thing is so perfect for traveling, hiking, and on a long haul flight. 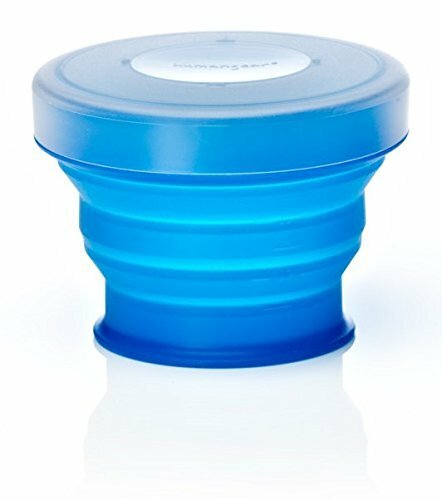 It’s compact, made from FDA food grade silicone, and a fitted lid with an integrated pill container should you need medication. One of the best things to take when traveling is a resuable bag. In today’s day and age, I feel like this is kind of a duh eco-friendly travel product. If you could help reduce waste on the planet by simply bringing your own bag to the grocery store would you? Of course! 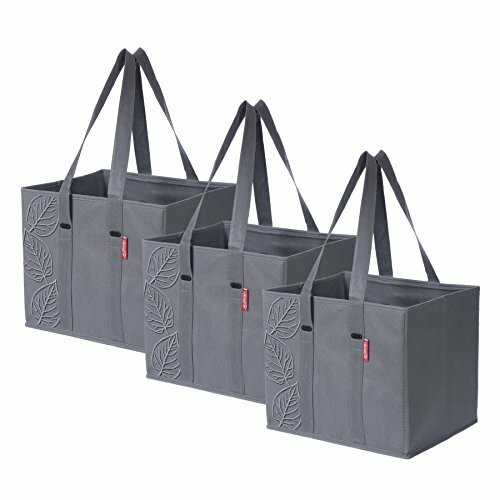 These bags are cute, reusable, pack up nicely, and can be used in day to day travel life. We never accept plastic bags when we travel or at home as always have reusable bags on us. This solar phone charger can handle charging my phone at least three times before I have to throw it in the sun again. Sometimes we even use it to charge two phones at once! It took me a while to invest in one of these bad boys, but now my camping/outdoor/adventure life has never been the same. On every travel packing checklist of mine, there is a Buff. I travel everywhere with a Buff because it pulls my hair back when it looks like crap (which is often), keeps the sweat out of my face, and also protects from the sun. They are one of the best travel accessories for women and men. Another one of my must-have travel accessories are sunglasses, but admittedly I have very light eyes that don’t handle the sun well. Make sure to protect your eyes from the sun since you’ll likely spend a lot of time outside when traveling. There are a lot of options for sunglasses and everyone should own at least one decent pair. It’s best to make sure they do have UV protection for the health of your eyes. We made our first investment in quality polarized sunglasses with a pair of SMITH Optics Lowdown 2. Smith is a reputable brand name and we have a lot of their products, they’re popular with ski bums like us. We never travel without travel insurance with World Nomads it is an essential travel item to never leave on a trip without. Natasha is a bit of a worry wart and would rather stay safe than sorry. 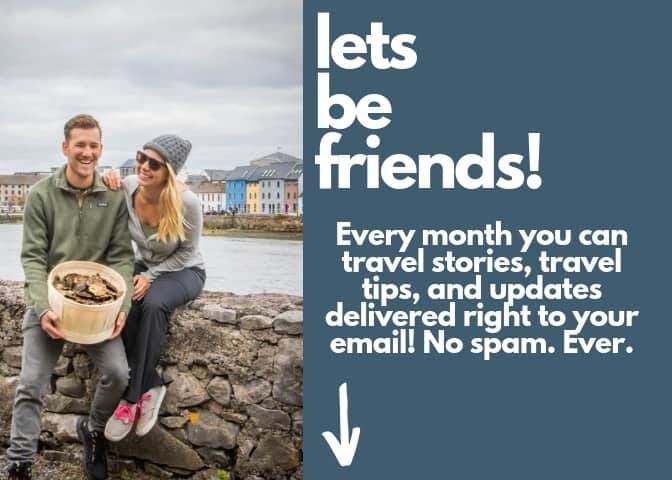 World Nomads offers incredible flexible and great plans! You never know if the worse could happen while you’re abroad and often your insurance plan at home will not cover medical emergencies abroad. Or if you have lost luggage, delayed flights or a canceled trip travel insurance can step in to save the day. Having the peace of mind that we have a good backup plan helps us sleep at night. 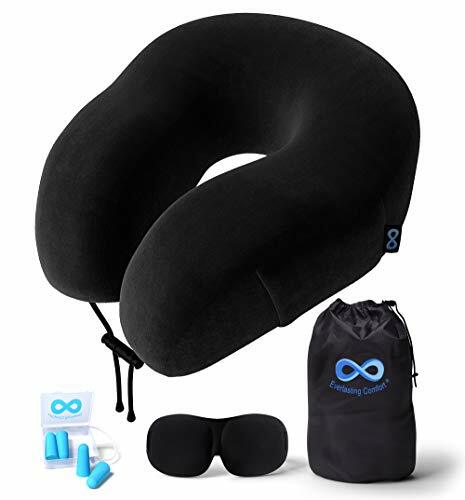 A proper travel pillow is a carry on essentials for long flights. The Everlasting Comfort travel pillow comes in the shape and size of your typical normal travel pillow. However, it comes with all the bells and whistles of something much more. This memory foam pillow has orthopedic raised lobe contouring on both sides for a comfortable rest. The high-density memory foam allows the travel pillow to conform to your neck for optimal comfort as well. Are you ready for the best part about this airline pillow? It has a cell phone pocket so you can always be listening to your music even walking through the terminal. 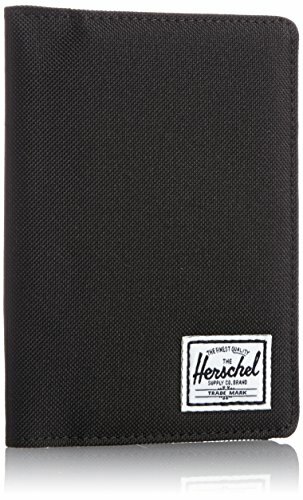 A cheap travel essential that I like to have is a passport holder.Hershel Supply Co.is one of my favorite brands for backpacks, so why would I not choose them for travel accessories and passport holders? They are known for durable high-quality products. It is likely you will have this passport cover for life. The Herschel product comes in different colors so you can easily choose one to match the rest of your carry on luggage set. The Herschel travel wallet is just the right size to hold your passport plus some space for extra cash, notes, and visas. Packing cubes are great for any backpack or suitcase and I firmly believe every traveler should have them. They are one of those packing essentials that should be in every bag as they keep all of your clothes and toiletries organized. 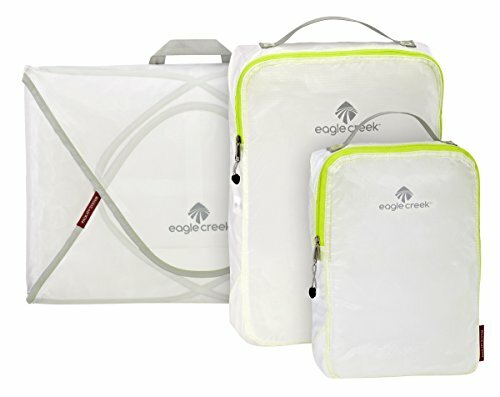 I’ve had these Eagle Creek cubes for three years now and think they were worth the small investment to stay organized and create space in my luggage. One of the best things to pack for vacation is a daypack. Every day traveling we are chasing new waterfalls, going on hikes, or enjoying the beach. For all our excursions we had theOsprey Daylite to carry our knicks knacks and snacks for the day. 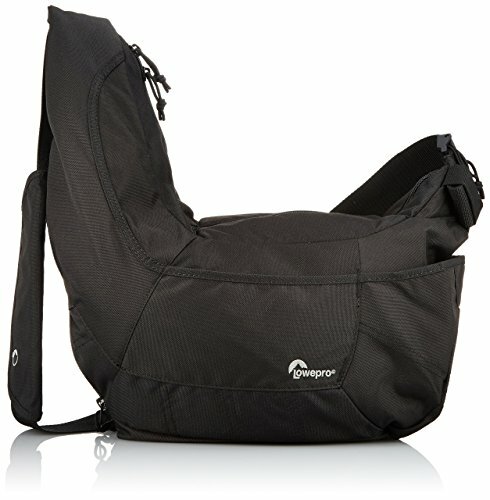 A good camera sling photography bag is a travel essential for anyone who travels with a few photography pieces. Lowepro again makes our list with their Sling III design, and it is certainly a must-have for the light travelers out there. The Passport Sling III is smaller than the Slingshot, so it’s best suited for compact cameras with only one extra lens or flash attachment. 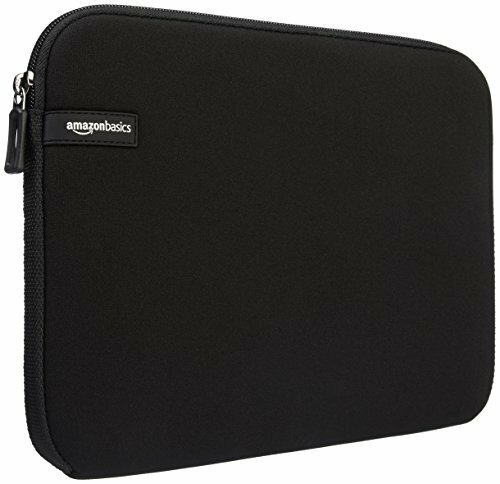 The impact resistant organization area, however, certainly helps protect these devices through all the hustle and bustle of busy airports and traveling. If you have more than just a camera and a lens (like us) it’s worth investing more in a proper photography backpack. We travel with so much photography gear included two to three cameras, five lenses, a GoPro, a drone, and all the cables and cords that go with those electronics. Even with a low-price tag, this camera bag still packs a punch with the number of features included in it. 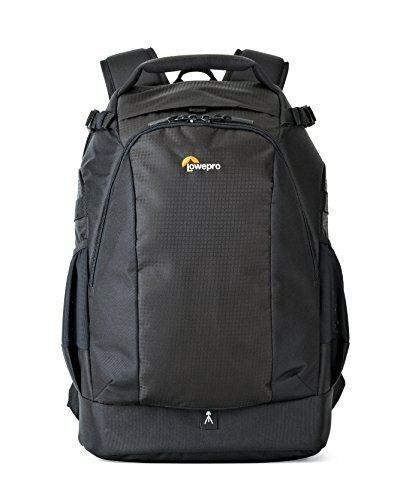 We had this bag for years before just recently upgrading to another LowePro. TheLowePro Flipside AW II can carry a camera with an attached lense as well as three other lenses, a laptop, and several jackets or even other articles of clothing needed for the trip at the top. A travel essential for women specifically is activewear. I never forget to bring clothes that are good to workout in when I travel. I always travel with yoga pants, sports bras, and breathable tank tops. One of my favorite brands to buy yoga pants from is Yoga Democracy. Yoga Democracy carries yoga pants that have fun designs, yet they are still extremely durable. All their gear is made from recycled nylon from material like fishing net that does great damage to our oceans. It’s estimated that there over 600,000 tonnes of this fishing net litter is going into our oceans, so wearing Yoga Democracy is choosing to fight against that and use eco-friendly materials. They are eco-friendly, USA made, and fair trade. To provide an update to this post we recently found out that polyester clothes are often credited for micro-plastics in the ocean. This hasn’t been 100% confirmed, but it’s definitely something to keep in mind when purchasing products and hopefully purchase more eco-friendly clothing. Use the code TWP20 for 20% off your purchase. I pretty much live in loose pants when at beach destinations. My favorite pair of loose pants are made by prAna. Their women’s Mantra Pants are made out of hemp and recycled polyester while offering 50+ UPF protection. The men’s version are the Vaha Pant and Cameron also lives in these. They are perfect for beach destinations, especially if you find yourself in more conservative areas. These pants are lightweight and weigh nothing in a carry-on bag. I could literally live in these pants if it were acceptable to wear them for breakfast, lunch, and dinner out. While in the Maldives, they were a wardrobe staple for nighttime as they are appropriate to wear barefoot to a nice resort restaurant. 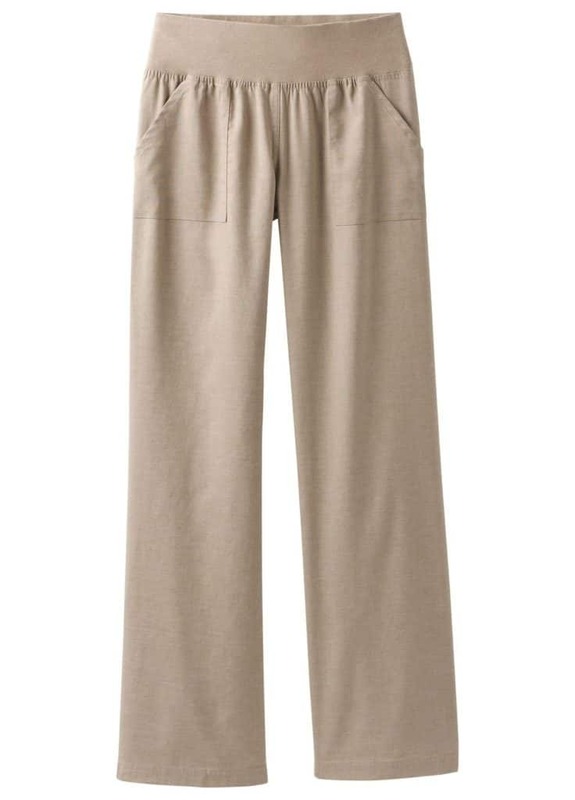 Loose pants for are travel essentials for men and women alike. See the different sets here! Patagonia makes some of the best travel and adventure clothes hands down. Honestly, we pretty much live in Patagonia and outdoor gear especially in the winter. We were on a three-month snowboard trip last winter and I wore this Patagonia Fleece almost every day. Guess what? Two years and 100 days of wear later it still looks and feels amazing, after I washed the smell out of it of course. Their fleeces like these keep me warm and comfortable in the fall and winter. 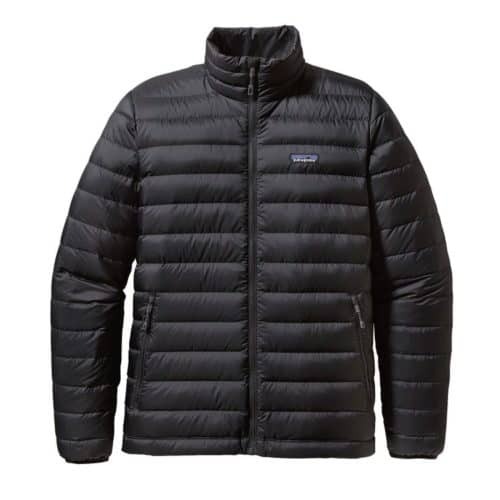 There are only a few items we recommend everyone has and one of them is a down jacket. A down jacket is a staple for travel and outdoor activities as it’s tremendously versatile. They pack up small and come in incredibly handy whenever you find yourself just a wee bit chilly. 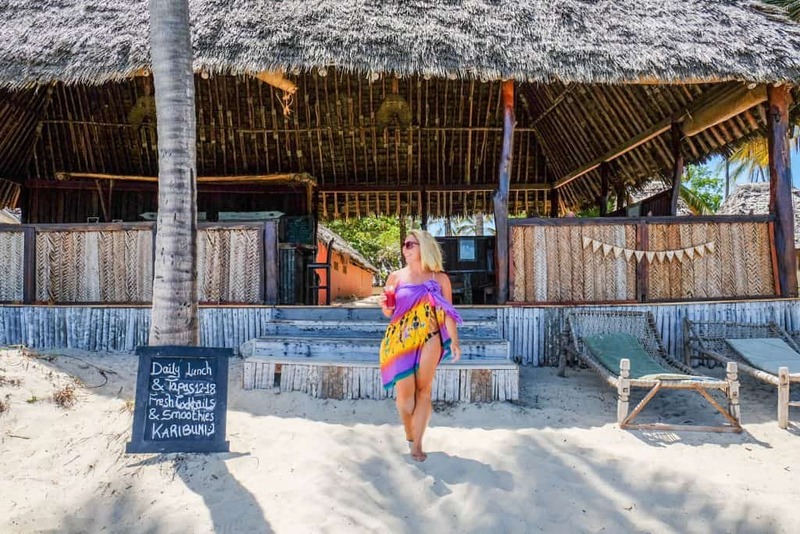 Sarongs are great for just about anything – covering up at the beach, drying off after a shower, or just looking cute as a skirt. It’s even common for men to wear them at night when relaxing around the beach too. 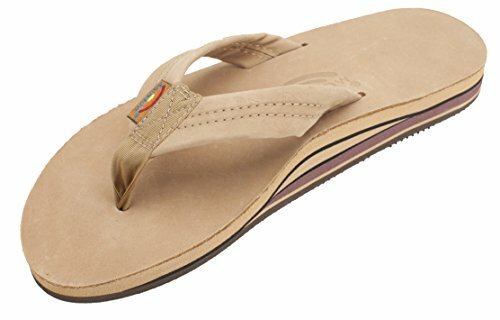 I really loved wearing these on the beaches of Africa or Southeast Asia. One of the most important travel essentials to me is a great pair of shoes. I travel with a sturdy pair of walking shoes, sandals, flats, and active shoe. Honestly, it all depends on where I am going and what kind of trip I am taking. 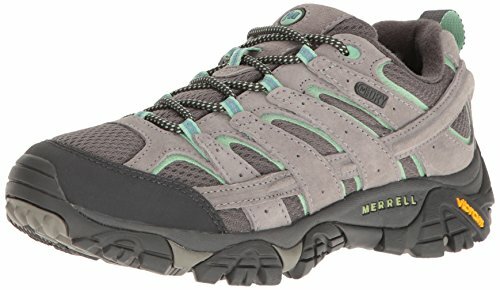 If it is a hiking adventure I will travel with a pair of Merrell Moabs. If it is a beach trip I will bring a pair of walking shoes and flip flops. You can see my all-around favorite travel shoes here for more inspiration. Those leather flip flops ended up lasting me four years, and they probably would have lasted longer if they weren’t stolen from my bag in Thailand. My second pair lasted even longer until some doggies stole them in Bali. I am now on the third pair that I bought when we lived in NYC four years ago and they are still going strong. Never will I not own a pair of Rainbows. 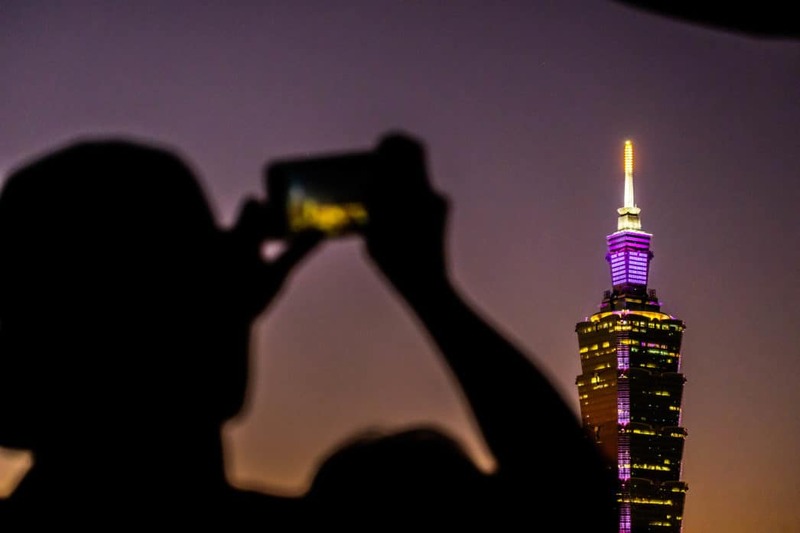 If you’re heading around the world you’ll need a camera to capture all your adventures. We travel with a few different cameras for travel blogging. However, I would suggest investing in at least a decent point and shoot if you are passionate about photography. 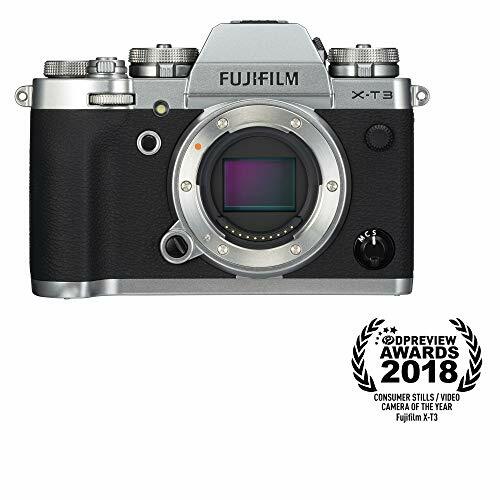 We have many cameras, but for a point and shoot we travel with the Sony RX100V and the Fuji X-T3 as our go-to mirrorless and love their picture quality. You can see more of our work here. 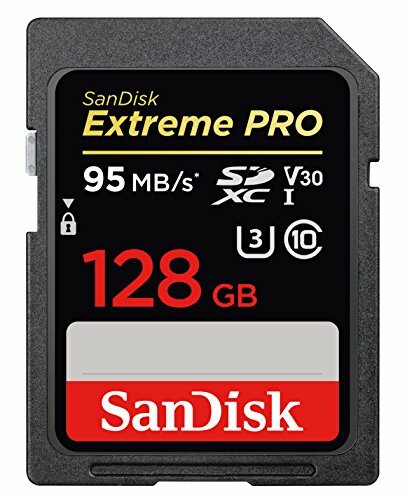 We don’t skimp on good memory cards and always trust SanDisk for a quality one. Since we take a crazy amount of photos and video a 128 GB is what we use, although if you don’t think you’ll need that much space you can always opt for a smaller one. We travel with our MacBook Pros to keep up with this website and YouTube when we are traveling however a MacBook is probably not necessary for most travelers! 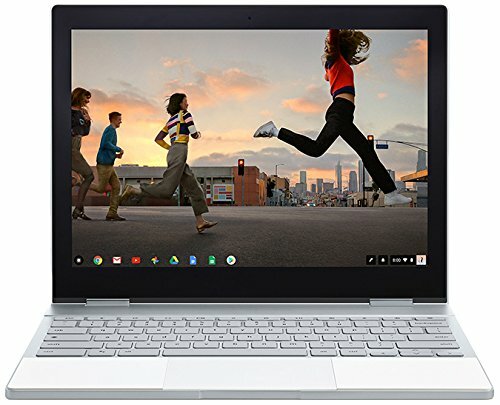 We just got our hands on the Google Pixelbook which is an ideal computer for most travelers who don’t have to work all the time on the road. It’s super slim, lightweight, and does everything your computer at home can do. We love the way it flips around too so that we can stand it up and watch movies on the plane with it. Some other fantastic features of the PixelBook is that it houses all apps, like a phone – except it’s a computer! An all-day battery delivers up to ten hours of power from just one single charge. If you don’t have the time to charge it I love that you still get 2 hours of battery life from only 15 minutes of charging. It also has automatic security, software, and features from Chrome OS. Almost all international flights have entertainment systems on board, but the headphones are often lackluster. That’s why I think headphones are a airplane travel essential you need. It’s best to travel with a decent pair of noise canceling headphones to save your ears. They’re also great for entertainment with long layovers. 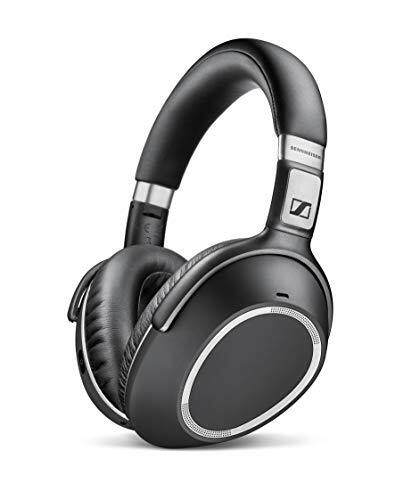 These headphones by Sennheiser may not be the best in the pack, but they’re affordable and will sound great to the average ear. A Kindle is essential travel gadget for those travelers that love to read. As much as I love a real book, they are too heavy and take up too much room in my suitcase. 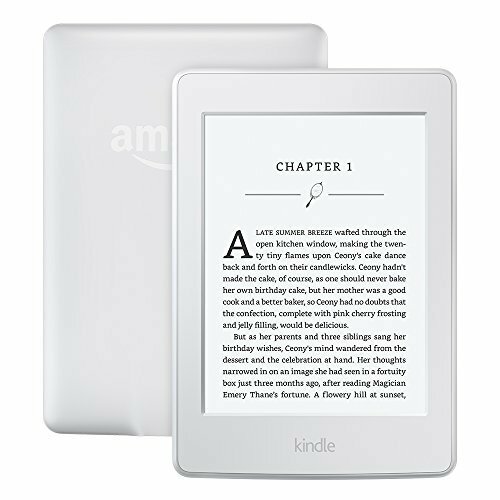 I’ve recently upgraded to the Kindle Paperwhite and absolutely love it. It’s small, has touch screen functions, and a backlight so that I can read at night without a harsh glare. This is the perfect camera to bring around the world and you’ll see them everywhere. 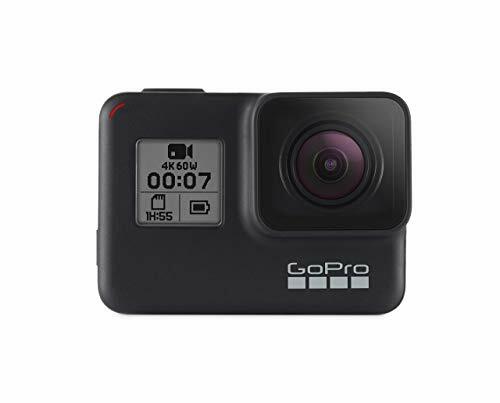 If you’re embarking on any adventures from surfing to hiking to snowboarding a GoPro is the travel item you need. Don’t risk bringing a fancy camera to the beach and getting sand in it. Or even worse, water. We just picked up the GoPro Hero 7 and love it so far. The Hypersmooth motion capture is a total game changer. Just make sure to attach it to a wrist strap so it doesn’t get lost! Best this travel accessory must have is one you haven’t thought about. Just because we are traveling doesn’t mean we like to fall behind on our shows and movies. 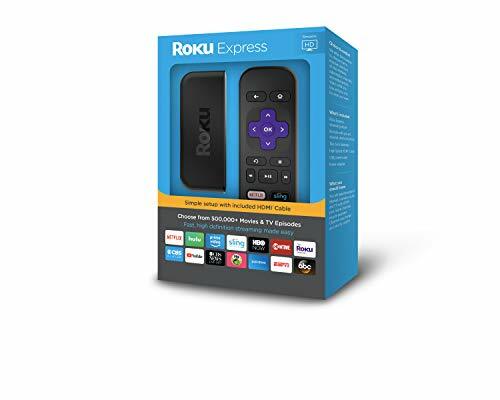 We have traveled for three years now with a Google Chromcast and Roky Express and it seriously makes Airbnb’s and hotel rooms so.much.better. We just plug in the streaming device to any TV when we travel and Voila – Netflix! To accompany our laptops we travel with a Lacie 4 Terabyte harddriveto back up all our travel photos and videos. However we take a ton of photos and the average traveler may not need this large of storage space. I think a2 TB Harddrive is perfect for most travelers. 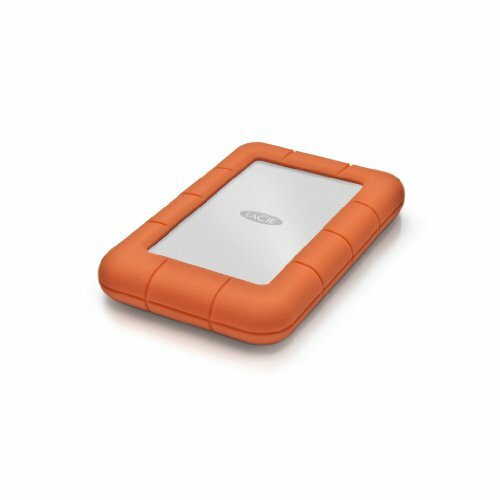 But the LaCie rugged is definitely my hard drive bramd of choice. We have a few different tripods that we need for our work. 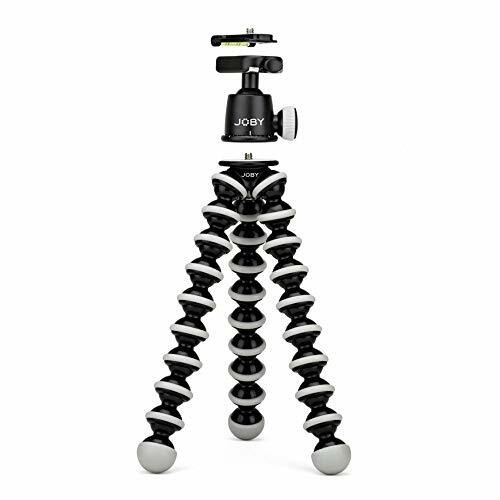 The two that we recommend most are the JOBY GorillaPod for a quick solution that you can walk around with all day. For a full tripod set up we use Manfrotto tripods as they are a brand name we trust and have never been let down by them. I never leave the house unless my computer gear is protected. Since I first got my hands on a Apple laptop in 2006 I have made every effort to protect my investment as best as I can. That is always with a laptop case and sleeve. Yes, I think both are essential when traveling with computer gear. I’ve gone through three Macbooks since then and not because they have broken down, but only because I have upgraded. I know that the reason they are all in such great shape is because I made the effort to protect them. The Speck case keeps my computer from getting scratches and dents on it while the sleeve literally protects it from impact. Highly recommend purchasing both if you have a valuable computer. A staple holiday essential is a travel hammock. There are so many places around the world that are easy places to lounge around and do absolutely nothing. If you are wondering what to pack for an outdoor adventure consider a travel hammock that you can string up between trees. It’s perfect for those times when you want to relax in nature. 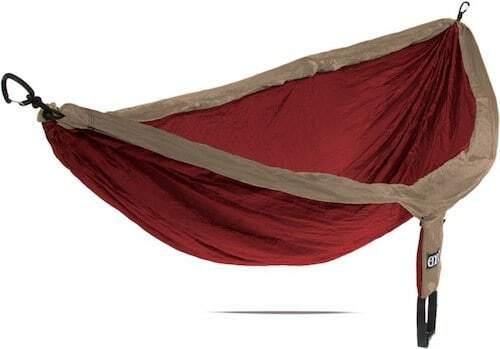 The ENO hammock was the original producer and the first travel hammocks we bought. Now, you can find a multitude of cheap ones online as they’re easy to manufacture in China and people love to buy and sell them on Amazon. Personally, I’d still stick with the original. After camping in Africa we learned that a headlamp is never a bad idea. Our headlamp came in handy when we were glamping in Hawaii and walking around at night in Costa Rica. It’s also great for any sunrise or sunset hikes you may plan on the islands. 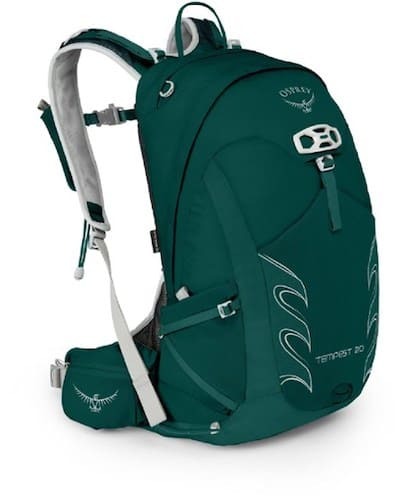 We love to buy outdoor gear like this on REI. 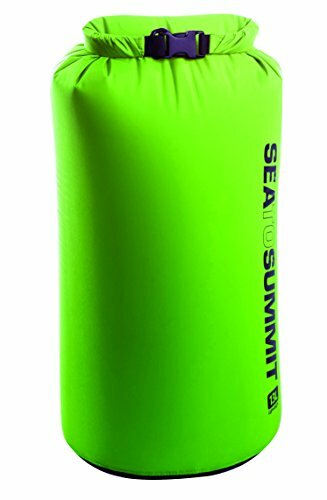 We always travel with a dry bag whether or not it is a beach vacation. They pack up easily and are lightweight so there really is no reason not to have one. They come in so handy if you find that you need one on the fly. They have saved our electronics a number of times and have easily paid for themselves when we’ve traveled to beach destinations like The Seychelles, Cyprus, yachting in the Mediterranean, or white water rafting down the Nile River. A summer travel essential for those that love to be outdoors. We love to travel and hike with a solar-powered lamp! We just got it a week ago and have already had to use it a number of times when we were low on light. 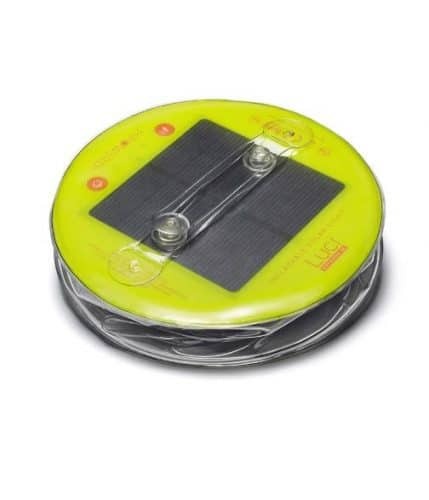 This little device is a solar-powered lamp and is a completely environmentally safe product. We have a few of these because we absolutely love coffee and tea. Although we make a lot of our own coffee we do have the occasional $5 cappuccino. This escalates when we travel and we usually have at least a cup of coffee a day. I hate those plastic lids given out and this is the best alternative to a wasteful plastic lid. Plus I love drinking off the silicone top. The tumbler comes in both 22 and 32-ounce sizes, and in our opinion, the 22 is perfect for travels and packing up the tumbler in your suitcase. A reusable coffee mug is an essential travel accessory for coffee lovers. Skin cancer is for real! 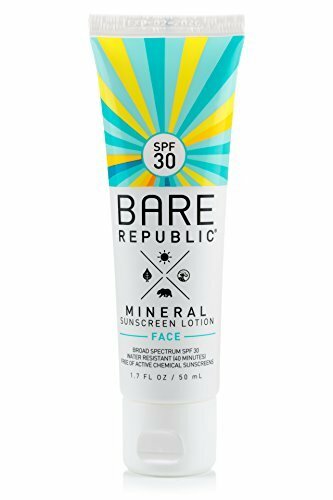 Not having sun protection when you are traveling to the beach and sunny destinations can lead to sunburn and long term skin cancer/skin aging. You will spend a lot of time outside when you travel and therefore under the sun. We highly recommend getting an eco-friendly sun cream that does not contain harmful chemicals especially if you are on the beach. Once you go into the ocean those harmful chemicals from your sunscreen will run off and ruin the coral and marine life so it’s super important to sunbath responsibly. Keeping a journal of your travels is timeless. It helps one digest the information they receive each day, and has proven mental health benefits. 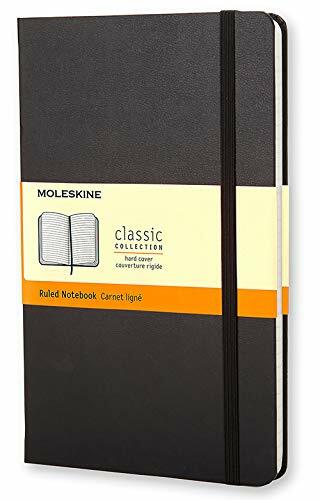 Moleskin’s line of journals is classic, well made, and stylish. We both carry a moleskin journal and love them for long plane rides, sitting in the back of the bus, or laying on the beach. If there is one travel accessory to carry out of the whole bunch it’s a good journal. Dedoerant is a travel kit essentials items. 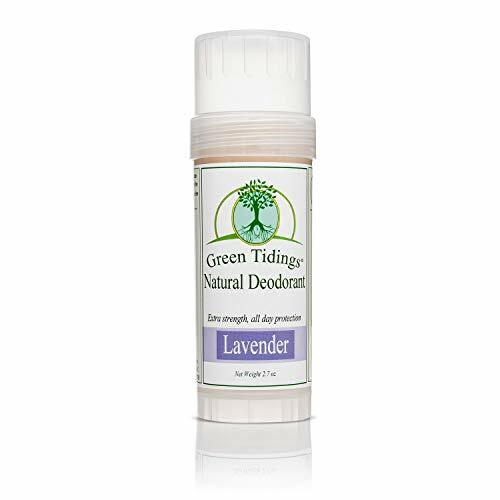 I like to bring my special all natural deodorant with me when I travel since the all natural stuff can be really hard to find abroad. If you use specialty products like this make sure to bring it with you when you travel as sometimes they can be very hard to find. However, generic roll-on sticks can be found at pharmacies around the country. I love to travel everywhere with my yoga mat. If you happen to be a bit of a yogi to know that often when traveling yoga studios can be found. 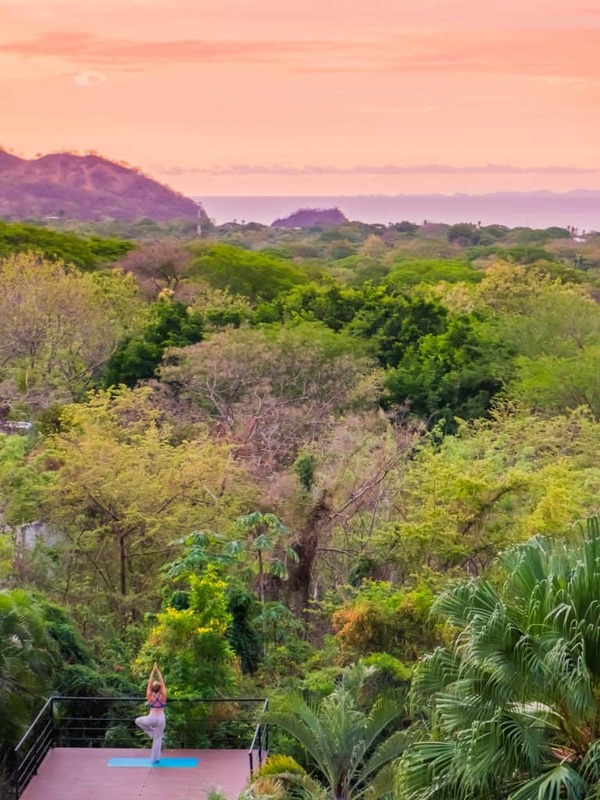 We’ve found places to practice in like Costa Rica, Bali, and Hawaii. I love traveling with my Manduka travel mat when I just want to do a couple of quick stretches. The Manduka travel mat is super light and thin. 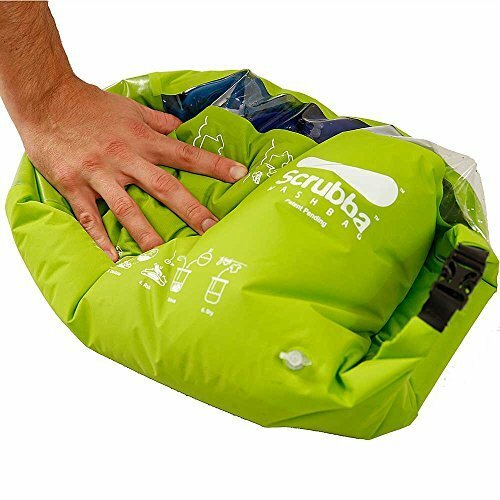 It can fold up into a square and easily be packed away in luggage. I bring this in my carry on so when I’m enduring a long layover I can stretch at the airport. 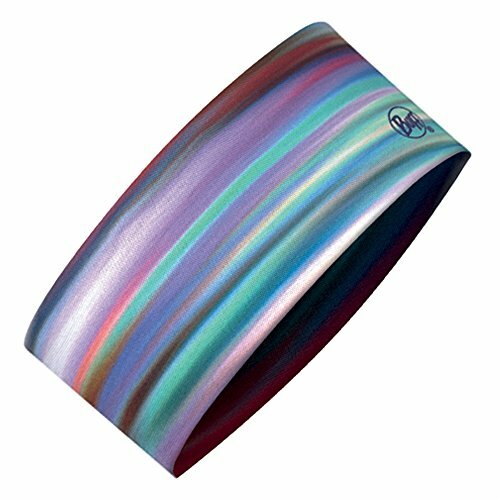 At $42 it won’t break the bank and has super grip technology for those sweaty times. A portable jewelry box his is a staple in my packing list. It’s a great travel essential but is something that is easily overlooked until it’s too late. It’s easy to break necklace chains or loose earrings in your suitcase or backpack. Trust me I’ve done it a few times and have also lost some very precious jewelry to me. Before I had a travel jewelry box I was storing all my necklaces and earrings in a plastic bag and always untangling them. 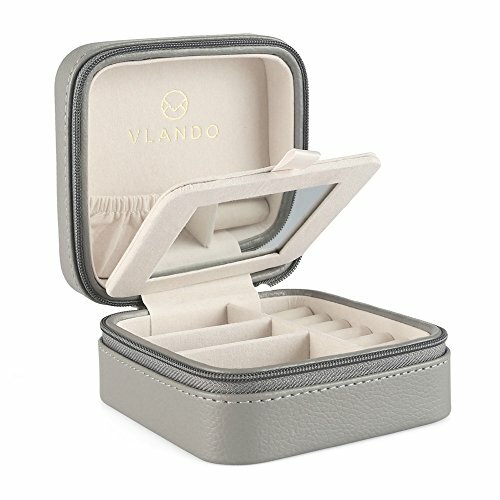 With an easy design and a few compartments will your keep jewelry organized and stored safely. Lastly, a travel bag essential for us is solid shampoo. As we get older we’re slowly becoming hippies. We love using Lush products as they do not use hard chemicals, test products on animals, and offer a plethora of organic products. They have an awesome company ethos and we’ve never walked into one of their stores and been met with a frowning face. Of particular use to travelers are their shampoo bars, face washes, and fragrances.